Panther Volleyball is open to boys and girls in Grades 5 to 8. The team is managed by Mr. Gargiulo and Mrs. Raleigh. It is one of our most popular sports with upwards or 30 players in most years. We belong to the co-ed Catholic league called the Morris County Catholic Volleyball League (MCCVL). There will be regularly scheduled games, playoffs and a championship Final Four for the top 4 teams that qualify. 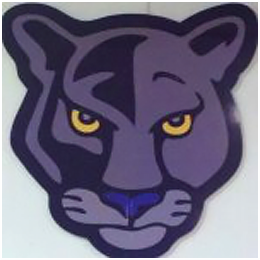 Games are scheduled during the evenings on school nights and weekly practices are held after dismissal with additional practice times during gym classes with Mr. G. Home games are exceptionally fun as our Panther mascot is there to cheer on our players and excite the large crowd of Panther supporters. We have a snack bar open during our games which is run by parent and alumni volunteers. Our Volleyball program also includes weekend tournaments, one of which we host here at The Academy in October. It is a day long event with lots of fun, food, and great volleyball. For schedules, directions and team info, click here.